Éolien Maritime France (EMF), the 50:50 joint venture of EDF and Enbridge, has development permits for the 450MW Courseulles-sur-Mer, 498MW Fécamp and 480MW Saint-Nazaire projects in French waters. However, since the projects were awarded in 2012, construction of the combined 1,428MW of capacity has been delayed due to legal challenges against the three projects. GE stated that "excessive delays" had "significantly impacted the financial characteristics" of the three wind farms, for which it was named exclusive supplier. 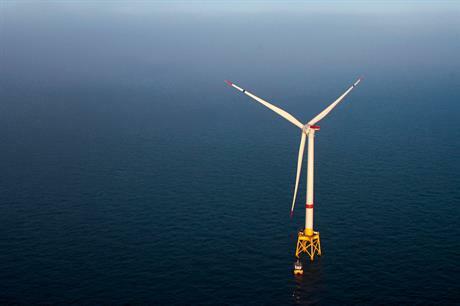 In February, it announced that it had started discussions with employee representatives at its French offshore wind unit about potential job cuts while the project delays continued. The manufacturer has now signed a memorandum of understanding (MoU) with EMF to provide and service Haliade 150-6MW turbines to whichever of the three projects is first "to be cleared of any legal recourse". However, the MoU terminates the manufacturer’s exclusive supplier status for EMF’s two other projects. EMF has instead signed a framework agreement with Siemens Gamesa for the manufacturer to supply its SWT-7.0-154 DD turbines for the remaining wind farms. The Spanish manufacturer will service the turbines for up to 15 years subject to a final investment decision on the two projects. EDF initially secured development permits for the three projects in 2012, through the EMF consortium with Ørsted, then Dong Energy. Canadian energy firm Enbridge then bought out Ørsted in 2016, becoming a 50% partner in the joint venture. German wind developer Wpd also has an independent stake of 15% in Courseulles-sur-Mer and 30% in Fécamp, with EMF holding the remainder.